UPDATE AGAIN: Celestial Mechanica has been unlocked for everyone. I added in a bit about it at the bottom. UPDATE: The missing games have been reviewed now that the downloading problems are solved. Check out Ubersoldier 2 and Dark Fall at the end of this post. Have you ever bought an indie bundle with a game or two in it that you just don't want? Groupees has got your back. Their latest bundle steps away from the Be Mine moniker for the time being and offers up one of the most unique payment schemes for a bundle that I can remember. In the Build a Bundle, you can carefully pick and choose between twelve games, with both the minimum and recommended price set based on what you pick. 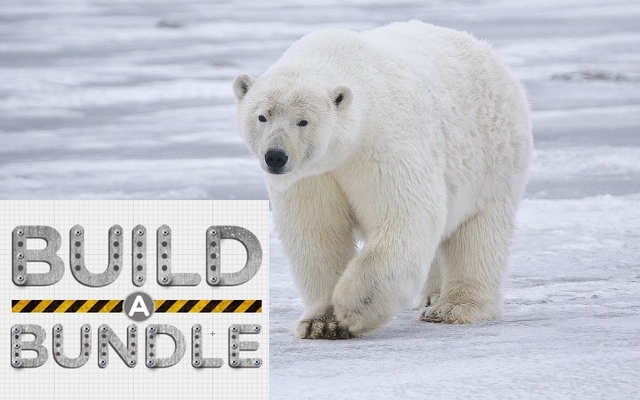 It's a minimum of nine bucks for the whole deal, with twenty percent of every purchase going to save polar bears. Everyone knows polar bears are rad, so it's pretty win win. 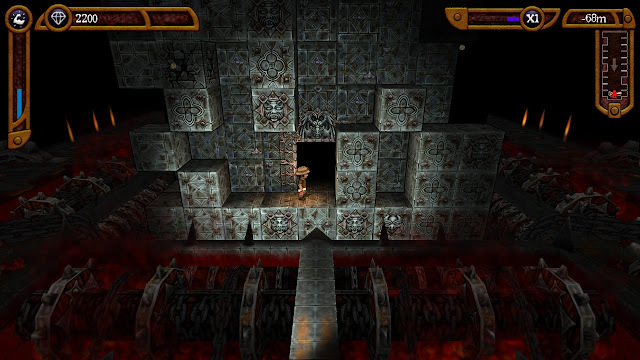 Six of the games were previously featured in Be Mine 1. For those games, I'm just going to direct your attention to my Be Mine 1 write-up, as re-reviewing five extra games would be a lot of work and doesn't make a lot of sense. The only game in that write-up that isn't offered this time is Wasteland Angel. For Post Apocalyptic Mayhem, I'll be covering it here since I haven't written about it before because my copy of the Be Mine 1 had a fishy screensaver not that I'm bitter. So that leaves seven unknown games for you to pick from. With the unique way of picking and choosing what you want, more than ever my game by game analysis should come in handy. Skip past the break and we'll begin. Like many 1C games, NecroVisioN (which I will never type with the second N again) is a very mixed bag. It's got a neat concept, occasional moments of greatness and the holiest of FPS holy grails: a kick button. On the other hand it's badly optimized on modern computers, way too wordy in the frequent and poorly paced cutscenes and often nonsensically torn between whether or not it wants to be Call of Duty or Painkiller, settling on an uneven mixture of both. 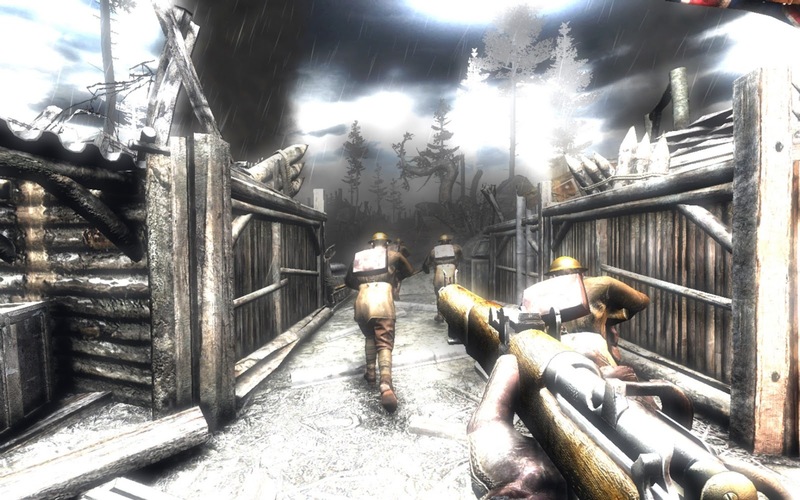 The central premise of NecroVision is that you are an American soldier in a British battalion in the trenches of World War 1. Things go all terrible, your whole battalion dies and you're left to fight your way out from behind enemy lines. Pretty standard war game stuff, no? Oh, right, the collective forces of hell have been unleashed as well, which means hordes of undead to kill, demons to shoot and a weird floating head in the sky talking about how you are the chosen one. This is pretty much the only game I've played where a standard goal like "get to the roof of the bunker" is followed up by "kill the wizard". Aside from the excruciating moments when the game tries to emulate the cover based Call of Duty shooting gallery style, the gameplay is pretty decent overall. The weapons are all semi-functional period weaponry that gets used in increasingly bizarre ways; dual heavy machineguns was a particularly neat example. The game also does some neat things with combos and melee; you can combo various melee attacks together with gunshots to make combo names appear and occasionally trigger very cool fatality animations. 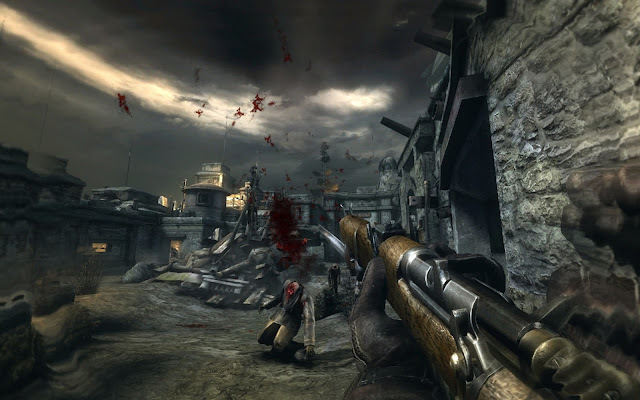 My favourite moment was running around with a bayonet in my left hand and a pistol in my right, cutting throats and kicking baddies while firing at the big bad in the sky. It felt unique, powerful and kind of awesome overall. The problems simply lie with the quality and budget of the game. It's very badly optimized, triggering myriad crashes and fatal errors on my computer due to some issues with my screenshot tools and the Steam overlay. It had occasional sound issues and clipping problems, and also seemed very temperamental when played on any other resolution than the default 4:3 screen size. As for the game itself, the story and voice acting are incredibly dumb, but generally in an enjoyable way. Cutscenes often seem placed randomly and drag on while the accents are often stereotypically over the top; for example, a plot element that could be revealed in a single line drags on for two minutes so the actor can sprout every British slang word in existence. This is either going to be hilarious or grating for you. Even the main American character is subject to this due to his Southern accent and overly religious persona, with plenty of cringingly awful one-liners and bloodthirsty growling (in fact, several lines seem to randomly use a different actor, which is either a plot element or the weirdest bug). As someone with so many games and so little time, I like to judge games based on whether or not they are worth the time you spend on them. While the price is definitely right for the game I have to say that, for most people, NecroVision isn't going to be a worthwhile endeavour to spend your time on. It's fun to play at certain points, and many of the flaws can be overlooked, but the bugs often keep it from being playable. For players looking for a new Painkiller, this is more akin to the quality of a Painkiller expansion pack. Fun, but with a ton of problems to consider. Caster is a game that does some things really well, and some things really badly. It's a third person shooter in which you travel to large swaths of land to kill evil bug creatures and do some kind of goal pulled from a limited pool of objectives. There's multiple weapons, a non linear mission structure, plenty of upgrades to buy and a couple of neat gameplay systems at work. There's also terrible graphics, serious terrain issues and unbalanced dull gameplay to contend with as well. Let's elaborate. Caster casts you in the role of a Caster, go figure. As far as I can tell, that means you're some kind of Mega Man Super Saiyan hybrid that gets sent in to fight off the invading bug things single handedly. Luckily, you're incredibly mobile and dexterous to even out the odds, using energy to travel faster than a speeding bullet or leap tall cliffs in a single bound. The mobility is fun to begin with and gets increasingly ludicrous as you unlock more upgrades, allowing you to fly ridiculous distances and causing massive craters to form wherever you land, which leads me to the other neat mechanic. 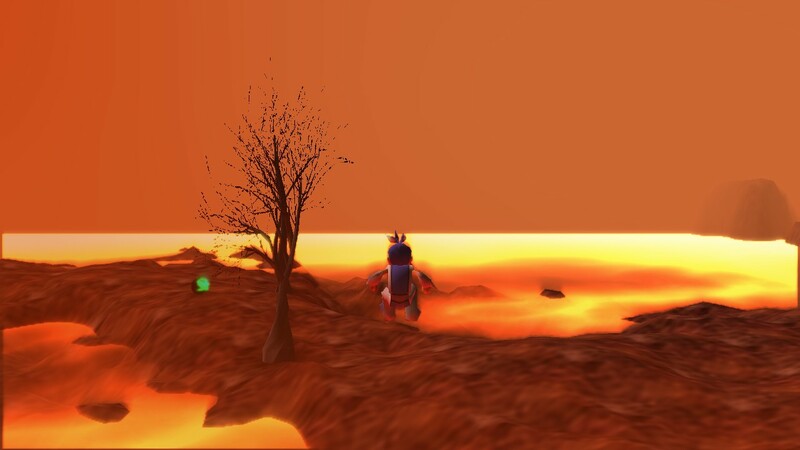 The game features deformable terrain, which is always a fun concept. As you start to pack more firepower, your lasers will cause dents and craters in the landscape, while enemies will start to do the same. 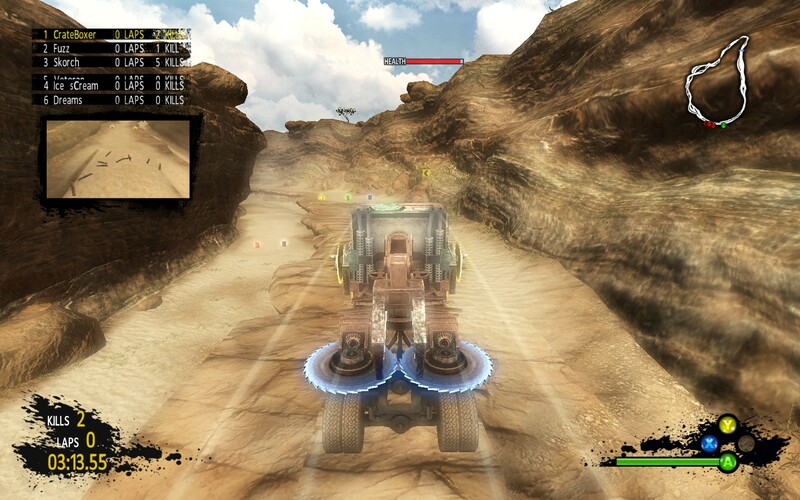 Some weapons can even cause the reverse effect, allowing you to carve out hills and such. First up: those graphics. They're really bad, guys. You know how lots of games are built to look like they were NES games because, hey, nostalgia? This looks like it was designed to look like a Nintendo 64 game, complete with bad textures, blocky models and a pretty wretched draw distance with way too much "fog". The laser effects look nice and the here's-your-mission lady artwork is fine, but aside from that it looks like a N64 game for all the wrong reasons. Another problem that was quite common on the N64 is lack of stuff. Many levels seem needlessly expansive and devoid of enemies. Often a level consists of running across a field, killing three bad guys, collecting the thing and then off to the next one. It feels like things need to either be a bit more enclosed, or the encounters at each MacGuffin need to be way more substantial. Like the fog, it feels like things are so spaced out for technical reasons, except there shouldn't be any technical reasons because hello, it came out in 2009. So what's left is an overall mediocre game. It's not mediocre for lack of trying, as there are some neat ideas at work here and it's clear the developers poured a lot into many parts of the game. However, major issues like graphics and level design keep it from being any more than a novelty. Diamond Dan is a pretty simple and single minded game, but what it sets out to do it does well. Technically speaking the game is a block based puzzle platformer, but in all honesty both of those elements get kind of shoved out of the way for pure arcade chaos. 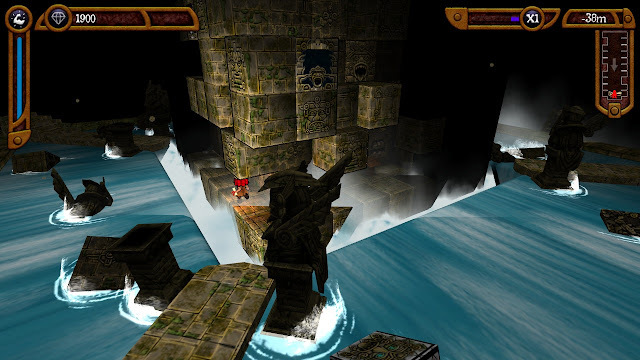 You need to explore a constantly shifting temple, shoving blocks back and forth to get treasure, find the map and reach the end of the level. 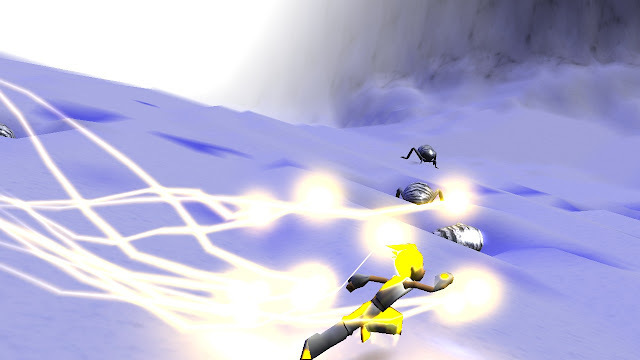 Overall the effect is a bit like a ramped up Boulder Dash where everything wants to screw you over. You can play as either the titular Dan or his partner Ann, both jetsetting explorers off to find things that belong in a museum. After the first few levels you can play as either character; Dan has access to a double jump and can shove blocks in any open direction, while Anne is unable to spit in the face of physics but does have a trusty pickaxe to Minecraft her way out of the temple. Essentially every level is a journey to the bottom of the block based temples, except the temple seems to be actively taunting you. Blocks move around on their own, disappear, reappear, spew treasure, crumble, shoot out spikes and occasionally attempt to crush you, and this all happens very quickly and almost constantly. While it's easy enough to reach the bottom with some random block pushing, the lure of treasure and a sweet sweet high score is constantly tempting you into trap laden areas. When you finally make it to the bottom, a map to the next temple awaits you so long as you can escape the level once you disturb said map. The chaotic nature of the game is definitely the most unique point, but it also kind of hurts the game as well. Every level is simply too random for any really clever level design, and the constant shifting makes it even less likely that you'll find a level memorable even minutes after you play it. There are 21 levels to explore, made up of four worlds, but the only real differences between levels is what traps you'll encounter and the actual visuals. But the semi-random levels do work to make the game a throwback to the older arcade puzzle classics, and the levels themselves are still quite a bit of fun. Overall Diamond Dan has a good cel shaded art style, a great soundtrack and fun gameplay that's just short enough to keep from overstaying its welcome. 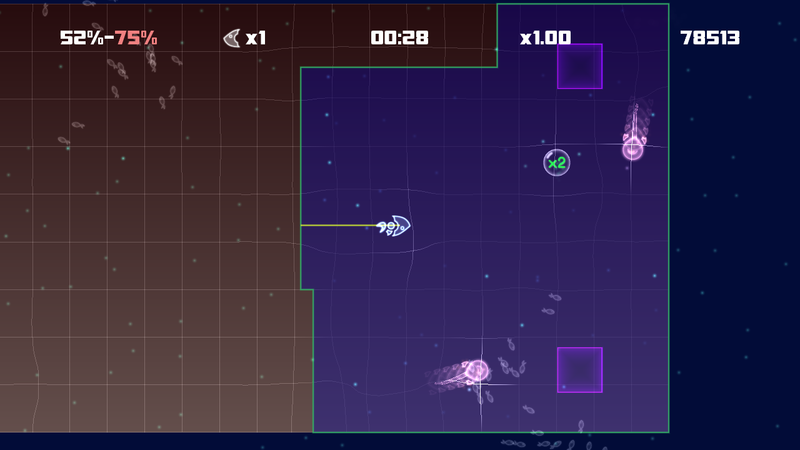 It's a great modern interpretation of solid arcade puzzle platformer. Hey, remember when I talked about Fortix, and how it was basically just Qix? Well, this is basically just Qix too, except even more distilled into its base arcade form. That's not a knock against it either, because Qix is a pretty excellent arcade game. I'm just saying that your desire for Lightfish is going to be directly connected to how pleased you would be with a great looking, fleshed out version of Qix. For those wondering what exactly Qix is, it's that arcade game where you have to cordon off sections of the playing field without letting the bad guys hit your line before you finish it. 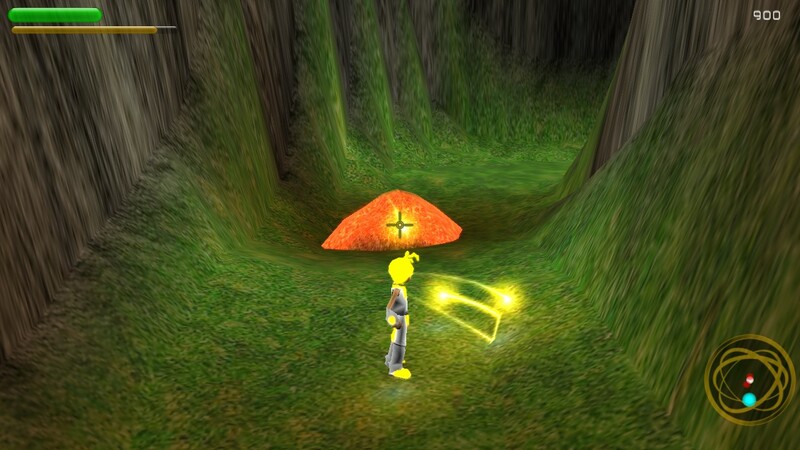 It's also an incredibly resilient and popular style of gameplay that's been echoed throughout the years. Chances are you've probably tried a variation of it before. I've always thought of it as a fairly "smart" arcade game, since it's a very strategic and slower paced game where you need to balance cutting off huge swaths of the field with keeping yourself safe from the bad guys. It's tactical and it's a ton of fun. Lightfish follows the same model except blown up in every way. There's a large variety of bad guys that are slowly introduced over the many levels, each of which cause problems for you in a large variety of ways. Also introduced are reefs, which can't be passed through and need to be encircled by your lightfish to destroy them. And like the arcade predecessor, there's a scoring system in place based on how well you perform. 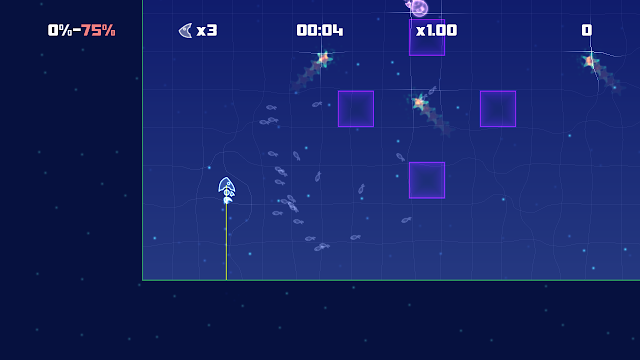 The nice modern twist to the scoring system is that each level is self contained, and at the end of each one you're given a good ol' star rating. The large volume of levels combined with the incentive to perfect each one means that Lightfish is certainly far more substantial than any other Qix-alike I've played. I should mention the actual audiovisual design. The soundtrack is pretty great, suitably relaxing but with enough energy to carry the game. The art style is great as well, with a clean modern look that's a great update to the original concept. If you enjoy the fun basic gameplay Qix, you'll be pleased at how Lightfish robustly expands the formula. I was unlucky enough to miss this in Be Mine 1, and for obvious reasons I haven't picked it up in any bundles since, but I've finally got my grimy hands on the wheel of Post Apocalyptic Mayhem. On one hand, I love car combat games. On the other, PAM has been thrashed around in the press and shunned by many gamers. So I didn't really know what to expect.Guess what? It's pretty great! 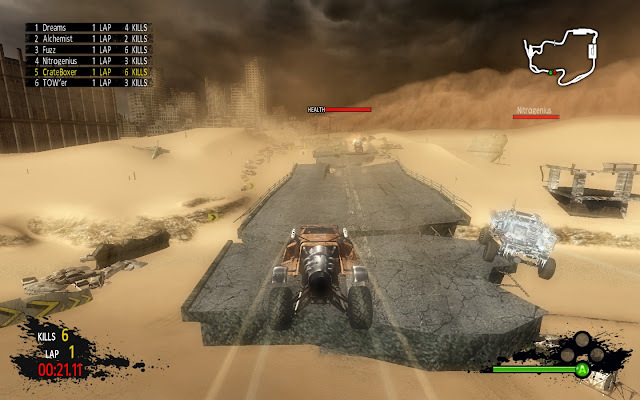 In PAM, you're given the keys to several different cars each equipped with a unique loadout, and then dropped into a post-apocalyptic speedway, supposedly to race. The catch is, racing isn't exactly the main focus. In fact, taking an obvious commanding lead will probably end with you losing the race, while sticking close to the middle of the pack is the best spot to find yourself in. You see, each race simply has a hard-coded time limit, and the winner is whoever has the most kills at the end of the round. You need to pick up weapons from around the track a la Mario Kart, and then explode everyone else before they explode you. The other big difference is that each car's weapons are unique; the power-ups are universal and activate your front, side and rear weapons, but what those weapons are varied on a car to car basis. Dropping a bunch of logs on the track? Spewing out stickybombs from the side? Firing a giant unicorn drill horn from the hood? It's fun to experiment, and easy to pick favourites that suit your style. A common complaint about the game was amount of content, which has been somewhat rectified by now with some helpful DLC injections. The base game now includes six tracks and around nine cars, with three more purchasable for two bucks on Steam. It was definitely a much needed content boost from the pitiful amount of cars and tracks from before. The game could still certainly use a few more tracks, but as it stands there's enough content here to justify a purchase and the tracks are all very well designed, with plenty of secret routes, jumps and ambush locations. 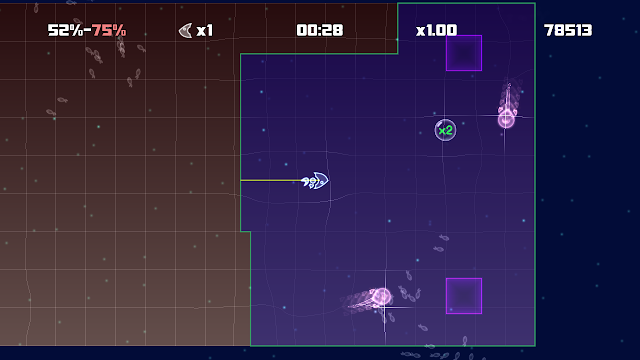 There's only one race mode, but you can play either single player or multiplayer, and also choose to play one track at a time for high scores or enter a semi-persistant tournament across every one of the game's tracks. The AI is surprisingly competent for a racing game, but it's clear that multiplayer is the way to play the game, especially with a bunch of friends. It's not the sharpest or best racing game out there, but it is a lot of fun and full of crazy moments. You want realism? Go play something else. You want to shove a drill up your opponent's tailpipe? Well, maybe PAM has a place in your bundle. 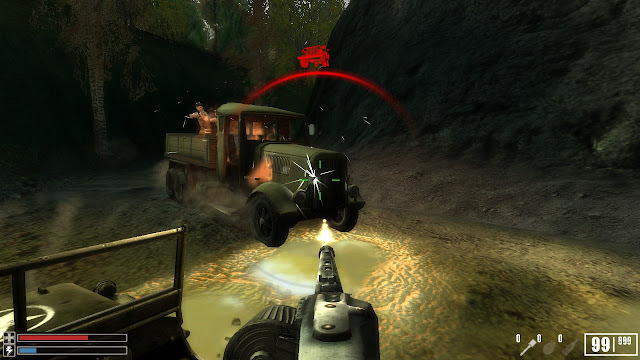 In the beginning of Ubersoldier 2, you find yourself in the back of a Jeep, manning a machine gun while you try to escape some Nazis. At some points the chase is thrilling, like a very neat set piece in a sewer pipe and a particularly well timed explosive jump. But a lot of the time the Jeep is struggling to keep on going, stalling on a steep upward slope or getting stuck in the mud. This opening sequence is an unintentionally perfect metaphor to describe the entire game. I'd like explain the premise of Ubersoldier 2: The Fall of Hitler, but I quite literally cannot. Indeed, unless Ubersoldier 1 was a narrative masterstroke, I doubt I would understand the plot even if I played the prequel. 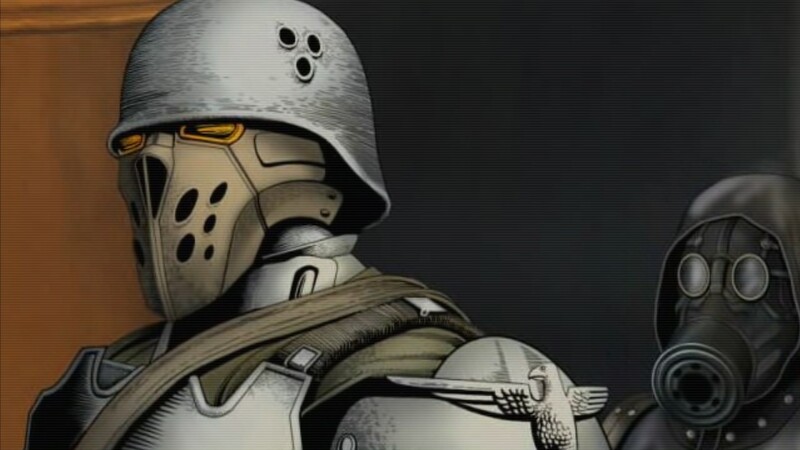 I do know that you are a soldier, presumably of the uber variety, and your name is Karl. There's a lot about gasses and science experiments that bring dead soldiers back to life, and there's a factory where they make kibble for these soldiers, and you have a lady friend, and that's pretty much the only solid facts I could drag out from the plot. I mean, I don't even know if Karl is with the Allies or the Rebels, or what these rebels are. All I know is that you're in the Nazi killing business, and business is decent, but a bit sluggish. The gameplay is of the variety popularized by early Call of Duty titles, consisting of popping out of cover, dropping a couple of headshots, and then hiding again. Of course, you can also run in and stab everything with a knife, which turned out to be an awesome tactic. Then there are other various abilities that highly suggest Karl's got some Force powers, like stopping bullets with his mind. This would be all fine and dandy, except that the controls are just a little too sluggish, the enemies are just a little too stupid and the models just a little too outdated to make the FPS rise above a mediocre level. If you like FPS games, this one is completely inoffensive and even gets to be a bit fun at times. The problem is that it's trying for an AAA experience, but simply cannot perform at an AAA level. The strongest point that an indie game has (and Ubersoldier 2 only barely technically qualifies for that label) is the ability to go in a completely different direction from the mainstream AAA titles. They can't really compete on a technical level, so smart developers know to come up with some kind of unique gameplay or clever story or distinct art style to avoid crushing comparisons to blockbuster titles. As it stands, Ubersoldier 2 doesn't manage to move beyond a somewhat nutty CoD emulator which brings up all sorts of nasty thoughts that you might as well be playing CoD instead. The B-movie plot is just a little too incomprehensible to be fun, and the voices are bad enough to grate but not bad enough to enjoy ironically. But there are some neat elements like the arty cutscenes and the vague Inglourious Basterds overtones. Ubersoldier 2 is not a frustratingly or offensively bad game, and certainly hits most of the FPS beats well enough to be fun. It's just that most people aren't exactly lacking in options for military FPS games at this point, so why play it over a more polished option? Just a question to consider while building your package. Confession time! I am a massive weenie when it comes to horror games, especially at night, with the lights off and headphones on. With that in mind, at great personal risk and sacrifice, I booted up Dark Fall: Lost Souls to see what its deal was. Turns out its deal is ghosts and terror. Who knew? 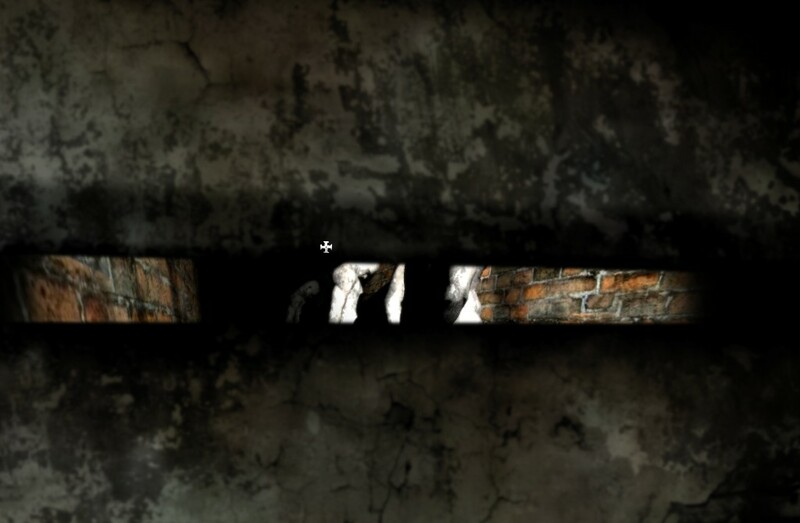 Dark Fall: Lost Souls is the third in a series of horror adventure games from Darkling Room. 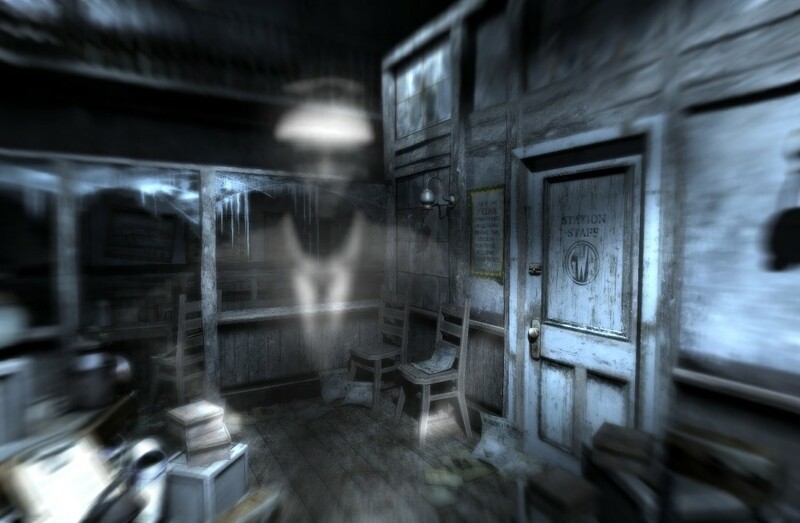 All three games take place from a first person perspective, keep the plot and storytelling relatively low-key and have lots and lots of ghosts. Seriously, they're all over the place, and they're not so inclined to be friendly or helpful. Most of the time they just decide to be cryptic, transparent and really freaking creepy. You are the Inspector, a mysterious gentleman who finds himself stuck in an abandoned train tunnel surrounded by artefacts from your greatest unsolved case: the murder of a seven year old girl. Who apparently is sticking around and watching us all from the trees while giggling. Sweet dreams. I really must commend Darkling Room on doing such a good job on setting and atmosphere. The first person perspective helps, as does the minimalist story telling and increasingly cryptic text messages that seem to make a cheerful beep so very menacing. Indeed, they did such a great job I can barely play the game (again, weenie). Everything is dark, lights flicker, things jump out, children that aren't there giggle and mannequins. So many mannequins. Ye gods. I probably should be talking about how it works as an adventure game. I honestly have no clue, as I was a bit distracted by jumping at everything. There's an awful lot of items to pick up and combine, but it does seem mostly logical. Pixel hunting is at a minimum, which is an improvement from the first game. Aside from that, it seemed like business as usual for European adventure game puzzles. You know, except terrifying. Also included as an apology for a Steam key mix-up is a DRM-free copy of Dark Fall 2: Lights Out Director's Cut. Unlike the first and third games, this one opts for a slightly different setting spanning four eras of a creepy lighthouse. 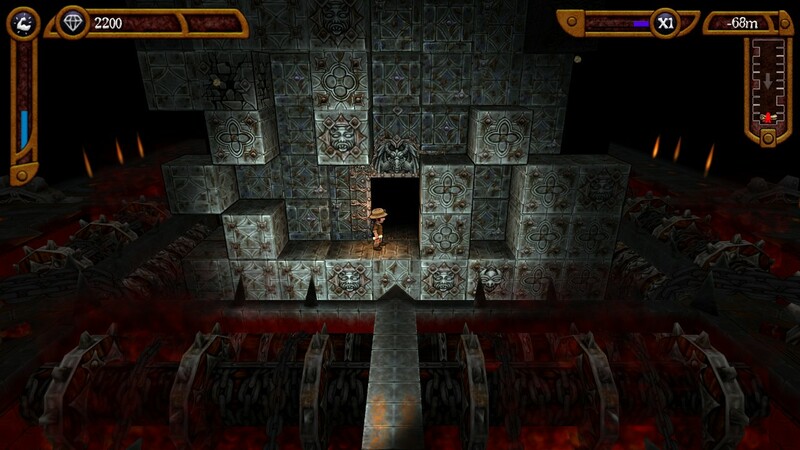 Graphically it's a bit rougher and the gameplay is a bit more hit and miss due to some interesting experiments in gameplay, but the atmosphere is similarly creepy. There's a bit more pixel hunting involved, but luckily the director's cut helps smooth out the roughest moments. Unfortunately for me, I don't think I have the nerves to hunt ghosts without a proton pack strapped to my back. But if you're braver, both Dark Fall games are eerie and have more atmosphere than the average horror game. They are certainly both worth a look for any horror fan. Celestial Mechanica is, according to the site, a surprise team-up by Roger Hicks (rComplex) and Paul Veer (Super Crate Box). It tells the story of a robot from a group of celestial beings called the Mechanians, who is thrown off of his floating city down to Earth. Upon meeting a fellow exile, the robots decide to find a way back to the city and oust the tyrannical king from power. That's where you come in. The journey back to Celestial Mechanica is a quest fraught with peril and Metroidvania elements, although I felt like the exploration was closer to a Zelda game than a Metroid one. In order to progress, you need to investigate shrines and collect the hidden upgrade in each one, which allows you to access the next shrine. It's not an unusual gameplay structure, but it's definitely a solid one. Probably the best part of the game is the presentation, as Celestial Mechanica sports beautifully animated graphics and a downright fantastic soundtrack. I know terms like "fantastic soundtrack" get thrown around a lot, but it truly is one of the better ones I've heard, and also one that I definitely want to pick up. Now, the platforming controls don't always handle as well as they should, and there's little difficulty due to respawning in the exact spot you died in. But the game is still quite a brilliant little collaboration, and it's added to each and every bundle that's built. It's definitely a sweet little bonus title that you should really check out. Well, that's it (for now). Hopefully between these seven eight games and the five previously feature titles you can find something to tickle your fancy. Head over to the site to build a bundle for yourself. And don't forget to spread the word about Backlog Journey on Twitter, Facebook and Google Plus, plus check out the newly launched Steam group to play some games with me and other like minded people. Well, in Be Mine 1, towards the end, you either got PAM or Dream Aquarium thrown into your bundle as a bonus, with a 50/50 chance of either one showing up. Unfortunately I wasn't so lucky and got the latter, which is literally just a fish screensaver. That's pretty awesome, and definitely makes up for the fishies.